Log homes represent one of the most traditional and historic approaches to home building – yet, they are now on the cutting edge of the green construction movement. This is especially true for a Southland log home. The designs and materials supplied by Southland Log Homes provide not only a beautiful log home, but one that is also highly energy efficient, makes use of natural, renewable resources, and supports a healthy home environment. The US Department of Energy showed that the thermal mass of a solid wood log home saves 46 percent in heating costs and 24 percent in cooling costs compared to a stick-framed home. Burche, Davis, Malcolm. The Effect of Wall Mass of Six Test Buildings, ASHRAE. Do you believe that your Southland log home is more efficient to heat than the average ordinary home? 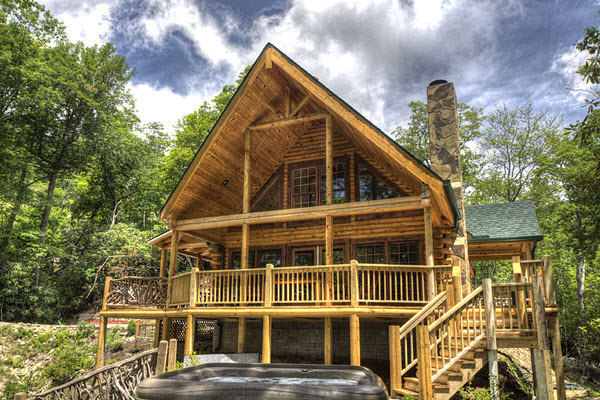 Do you believe that your Southland log home is more efficient to keep cool than the average ordinary home? A primary benefit of Southland’s green approach is a high level of energy efficiency, and the money saved as a result of reduced heating and cooling costs. The logs used in the construction of a Southland log home are precision-milled, providing a tighter fit and a more energy-efficient structure. The natural thermal mass of the logs helps to hold the heat in the winter and keep things cooler in the summer. In fact, a study conducted by the Department of Energy showed that a solid wood log home saves 46 percent in heating costs and 24 percent in cooling costs compared to a stick-frame home. Southland’s materials and designs have been shown to qualify for Energy Star certification. Energy Star is a U.S. government program that certifies homes, building components, and appliances that achieve significant energy savings. Independent testing results confirmed that a Southland log home can exceed Energy Star rating requirements and receive a five star rating under The Home Energy Rating System. In addition to energy savings, the green construction advantages of a Southland log home include the use of a greater percentage of renewable building materials than most conventionally constructed homes. Southland’s logs are sourced from managed, renewable forests and are then milled, kiln-dried, and treated with a natural salt solution to guard against rot and insects. Because the logs provide both the structural and the primary decorative components of a log home, the result is a very high percentage of renewable materials in the final construction. In a Southland log home, the same elements that make the home “green” also make it beautiful. 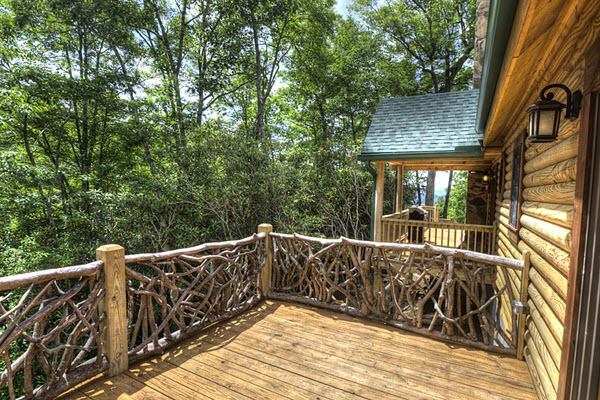 The use of natural materials in a Southland log home contributes to a healthier environment for you and your family. Conventionally-constructed homes use a higher degree of processed and manufactured materials which may consume more energy and produce more pollutants in their manufacture. These materials may even emit harmful toxins into the home environment. Studies have demonstrated that log homes support healthier indoor air quality, including helping to naturally maintain humidity in a desirable range. Perhaps the greatest benefit is knowing that you are living is a natural, beautiful, and healthy home. Our customers report that the relaxing environment of a Southland log home results in a major reduction in their level of stress. It is like coming home to a vacation every day!